Are Different Music Styles at Different Service Times a Good Idea? As churches grow, so does the need to add services outside of the traditional Sunday morning optimal times. Growing churches are trying new service times on Saturday and Sunday nights with great success. However, with the addition of more services, comes the temptation to add not just another service, but another venue. 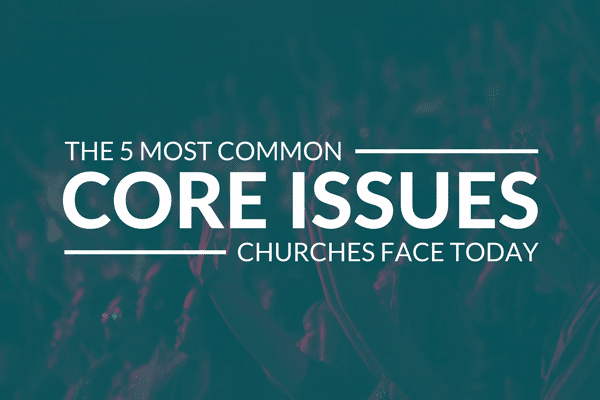 In other words, instead of just adding a service at a new time, or in a new space, churches are creating a new type of service, often differentiated by a different music style (think “edgier,” “softer,” or “acoustic café”). And while venues with different music styles can be strategic, having one style of music – at all services – is also strategic. Maybe more. Why? 1) More choices. For the attenders of your church and the friends they want to invite, every weekend schedule can look a little different. Schedules are often clogged with kid’s sporting activities, family commitments, work schedules, etc. No weekend looks the same from week to week. With one style of music at all of your services, you actually give your attenders more choices. They can attend any of your weekend services – giving them multiple options. …then they really only have one choice – the time their preferred music style is offered. 2) Excellence. Another benefit of offering one music style at all services is an increase in the overall service quality. With limited time and resources, it’s hard to implement 2-3 music venues with excellence. More leaders, more musicians, more management and more leadership is needed to pull it off. But, having one style allows you to pool your hiring, recruiting, training and rehearsal efforts. This results in a stronger, higher quality experience because you are maximizing and focusing your resources. 3) Consistency. Lastly, by implementing one music style, you will have clarity around your church’s brand. No matter what service someone attends, they will find an experience that is consistent across all of your services. It also makes for an easier invite. Instead of having to explain what is offered when, and which service you think someone should try, you can just invite someone to come anytime it fits their schedule. Offering one style provides more choices, increased quality, and a more consistent weekend experience. In my experience 12 years of Lead pastoring, turning around, stabilizing, and healing broken churches I have seen that having 2 styles can be extremely beneficial for the church. I agree that 3 would be too many, but 2 seems to work fine. The reason being is that most of the older people who are resistant to change, need a safe place. If we change their worship style too much (away from hymns, Gaither, older camp songs and praise chorus ) it lessens their excitement about other changes that need to be made. Give them their service. If you can give them their own Praise Team. This makes them feel welcomed and loved in the church community they have sacrificed for years. Plus they know they are valued, their opinions are valued and they are not forgotten or pushed aside for the new ways (service structure, updating facilities, Rebranding). We all know most wars involve music styles. Give the older family members what they need, as you continue to introduce change for the unchurched, and younger generations in the second music style that fits the vision Jesus has given that church, for that community. I do agree that every church needs to find it’s sound, it’s voice musically. More than two types of worship music services would be hard to pull off volunteer wise (think of the poor sound techs), plus there would not be clarity of vision for the praise team and people visiting the church. Thanks for adding your thoughts to the conversation, Mike.